Join us for the opening ceremony of the Ritchie Hollow Trail! Who: The public and anyone who is interested in trail hiking or trail running is invited. What: Ritchie Hollow Trail opening ceremony and dedication to Carl Lawson, our caretaker at Pot Point and past moonshiner of the area. Hike and/or trail run with us and enjoy refreshments at the Pot Point Cabin afterwards. Learn about the local partnerships that made this trail happen between the Trust and Prentice Cooper State Forest, Rock/Creek, the Riverview Foundation, the Benwood Foundation, the Southeast Conservation Corps, the Chattanooga Hiking Club, TVA, and the UTC GIS Lab. Where: Meet at the gravel parking lot across from the Pot Point Cabin at 17805 River Canyon Rd, Chattanooga, TN, 37405. When: Saturday, January 27th, 11:00 am EST. Trail Details: The Ritchie Hollow Trail is a moderately strenuous 2.5 mile out-and-back (5 miles round trip) trail with over 1,000 feet of elevation gain and passes a 30 foot waterfall. The unique trail meanders through a mature hardwood forest and passes many historic moonshine stills. 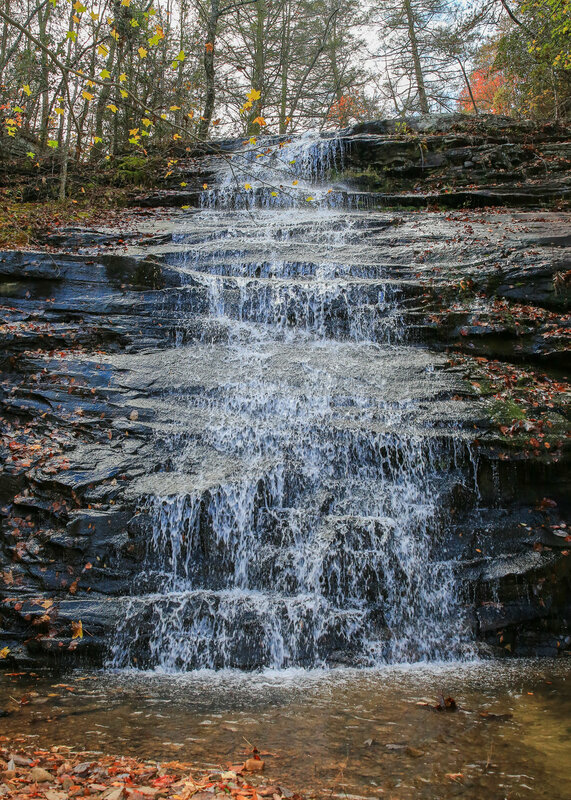 It is one of only a few trails that connect the Tennessee River with the Cumberland Trail system at the top of the mountain.